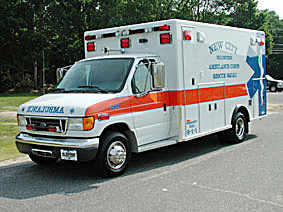 NEW CITY VOLUNTEER AMBULANCE CORPS / RESCUE SQUAD, INC.
And giving back to your community by volunteering to provide emergency care for those in need. By the Internet: Click on the above link "Join NCVAC" and fill out the online inquiry form. You will then be contacted by one of our members. By Mail: Download our application and mail to the address indicated. By Phone: Call (845) 639-7060 and leave a message. You will be contacted within one week by one of our members.